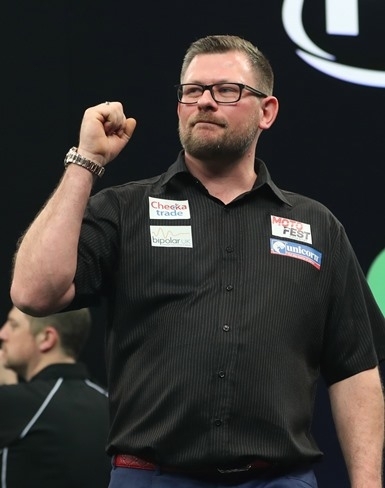 James Wade fell at the final hurdle at the European Darts Grand Prix. The Unicorn star lost Sunday night’s final 8-3 to Michael van Gerwen as the World No.1 collected yet another Euro Tour title. For Wade, it is now two years since his last tournament victory, but he can still be thrilled with another fine performance as his 2018 renaissance continued in Sindelfingen. After seven legs, he only trailed 4-3 with both players averaging around the 109 mark. Wade hit a 121 on the bull, only for Van Gerwen to reply with a 161 finish. But from that moment, Van Gerwen took control as he won four straight legs to take the title with an end average of nearly 111. Earlier Wade hit a brilliant 117 check-out to beat Rob Cross in a last leg decider in the last 16. Then came a 6-3 victory over Simon Whitlock in the quarters and he brushed aside Danny Noppert 7-3 in what was his third European Tour semi-final of the years. The in-form Michael Smith is back up to World No.8 after his run to the semi-finals in Germany. Despite being laid low with a bad chest infection, Smith did remarkably well to go so far. In the last 16 he was a convincing 6-3 winner over Jermaine Wattimena and followed that by eating Jamie Lewis 6-2 in the last eight. But the Unicorn ace ran into an inspired Van Gerwen in the semi-finals. The Dutchman winning 7-0 with a 110 average. Joe Cullen reached a 7th consecutive Euro Tour quarter-final but unfortunately that’s where the journey ended again for the Unicorn man. In the last 16 Cullen was in scintillating form as he averaged 106 in winning the all Unicorn clash with Kyle Anderson 6-3. He then rode his luck in the quarters as he survived several Noppert match darts to force a deciding leg. Cullen missed one dart for the match himself as he lost 6-5. But his latest run means Cullen is up to a career high 17th in the world rankings. Ian White reached the last 16 yet again. He was 5-2 up on Dave Chisnall but was beaten 6-5. Meanwhile, on the latest weekend of the PDC Unicorn Challenge Tour, Michael Barnard won two of the four events to maintain his lead at the top of the Challenge Tour Table. He beat Martin Atkins 5-1 to win event 10, then Andy Jenkins 5-3 to win Challenge Tour 11. New Zealander Cody Harris beat Yordi Meeuwisse 5-2 to triumph in Saturday’s first tournament, while youngster Adam Huckvale was a 5-2 winner over Darren Beveridge in Sunday’s Challenge Tour 12. Unicorn youngster Ted Evetts reached a semi-final and quarter-final over the weekend.